Andy was suggested by Jude from Tampa. Speaking of SNL, G-d knows why, but from time to time I decide to give it a chance. So a couple of months ago, I caught the beginning of the episode that was starring the one and only Zac Efron. The National Spelling Bee was yesterday, won by an Indian (no surprise there) girl. But we fondly remember the 1997 edition, won by Rebecca Sealfon from New York. E! U! O! N! Y! M! Perhaps we should move the JONJ Headquarters to Pittsburgh. We documented earlier this year how much our website benefited from the Steelers run to the Super Bowl because of Not-a-Jew-but-people-can't-help-but-wonder Ben Roethlisberger. Now, with the Penguins making the Stanley Cup finals, we're getting a sizable bump on Possibly-a-Jew-and-people-can't-help-but-wonder Evgeni Malkin. It's not exactly Roethlisberger territory (this is hockey, not football), but... we'll take it. Yakov has a problem that in the movie, Cher ends up with (SPOILER ALERT!) Josh (played by Paul Rudd). He contends that Josh is Cher's brother, whereas he is her former stepbrother, meaning that not only do they not share any blood, there is no formal relationship between the two. Besides, this is based on a Jane Austen novel, and in her books, everyone always ends up marrying their first cousin. This is much better by comparison, right? Or not. Seriously, I don't know why I'm defending this. 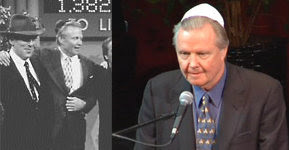 Voight was suggested by Alan from California. TV week continues here at JONJ. From a show we hate to a show we love to a show we loved but then later hated? Whatever. Next week, we return to your regularly scheduled random Jew-profiles, already in progress. After a show we hate (Idol), a show we love (The Office). But no matter how much we like his Ryan character, we're still not cutting B. J. any slack. What is it with Jews and reality shows recently? Later this week, there's the highly anticipated (just not by us) finale of "American Idol" (see Adam Lambert). 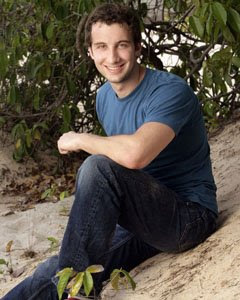 And last weekend, Stephen Fishbach, a Jew from New York, made it all the way to the finale of "Survivor", before choosing friendship over a million, losing to cattle rancher J.T. We're kinda disappointed, since we rooted for Stephen ever since he revealed he was a Jew back in Episode 1. But J.T. is a worthy winner, and Stephen himself seems happy with the outcome. So we're not gonna dwell on it. 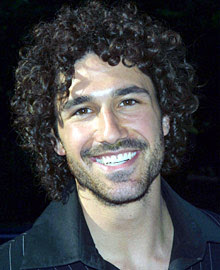 Besides, there already was a Jewish Survivor, Ethan Zohn from Season 3. At JONJ Headquarters, we had a long discussion on whether or not to profile Lambert. On one hand, he was requested by at least three readers (Elizabeth from Columbus, David from Detroit, and Josh from New York), and is one of the most-searched names on our website. On the other hand, it's freaking American Idol. And he might not even win. Yes, there is a third book, coming out later this year... Can't wait! On second thought... nah. Definitely CAN and WILL wait. What's the deal with bees? OK, we'll stop right now. 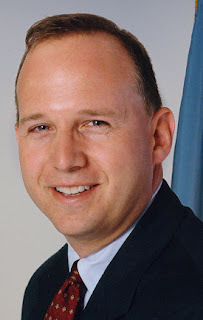 This January, Jack Markell joined Linda Lingle of Hawaii and Ed Rendell of Pennsylvania on the list of Jewish governors. Today, he brought gambling to Delaware. That something is "Celebrity Apprentice". In the final, Joan beat fellow Jew, poker player Annie Duke. Other luminaries who participated in this... contest include Dennis Rodman and Andrew Dice Clay. Thanks a lot to Pamela from North Carolina for not only suggesting Franco, but writing up a draft that became the basis of this profile. Somehow, Powell is the fifth US Secretary of State we've profiled, following Madeleine Albright, Henry Kissinger, Hillary Clinton, and Thomas Jefferson. Will we ever profile Condoleeza Rice? I doubt it... Her only real chance is to marry a Jew... and that's not happening. No, not Sacha Baron Cohen. Rather the figure skater Sasha Cohen, who came out of retirement (she's 24!) to try and earn a spot for the 2010 Winter Olympics. I guess it gives us the wife a rooting interest in Vancouver. Since I have nothing more to add, here's a link to Maria's gallery on SI.com. Regular suggester Anne recommended we profile Frodo. We ended up making Gollum the headliner instead, but the basic intention is the same. The Surprise Me! link that gives you a random profile, and the change from "Updated Daily" to "Updated M/W/F"... Monday/Wednesday/Friday for the layman. Don't worry, JONJ readers. We've been going on a profile-a-day pace for a few months now, and we just need a break. Meanwhile, it'll give you a chance to catch up on some of the older profiles. Call it a summer May vacation... We'll see what June brings us. Our only previous Mc-Jew was Denny McLain who turned out to be fibbing. It's ok, we like this one much better, for obvious reasons.